Through processing how to authentically achieve this, I became so stuck on the definition I had in my head, I all but decided there were some people I could never forgive! I knew I had to change my definition. It’s easy for me to forgive someone when they’ve owned their responsibility, changed their behavior and are not repeating the same patterns and ceased to harm. It’s also easy for me to forgive when I can understand that something in someone is broken. And to be honest, it’s easy for me to forgive when what they have done reflects my own past indiscretions. If I am guilty of having once caused the same harm to another, I have empathy which goes a long way to my original definition of forgiving. Or perhaps, if I’m really being honest – forgiving those who have perpetrated a wrong doing that I have been guilty of – affords me some measure of absolution for my own behavior. Not being a religious person, I can’t turn to theological definitions or procedure when it comes to forgiveness. I can be open to their ideas of course, many truths are universal and have a common thread in a variety of cultures and religious teachings. But here I thought I couldn’t begin the process of forgiveness until I felt completely ready to pardon the person who had harmed me – and I don’t do things in half measures. I love, detest, work and forgive with my whole heart, body and soul – or not at all. This is not an easy topic – so I reached out to some friends for their thoughts and definitions, I said ‘There’s no right answers’. I also asked, is forgiveness Selfish or Selfless? And so the sharing began to flow. Scot: there is nothing selfish about authentic forgiveness. It is needed for personal happiness. 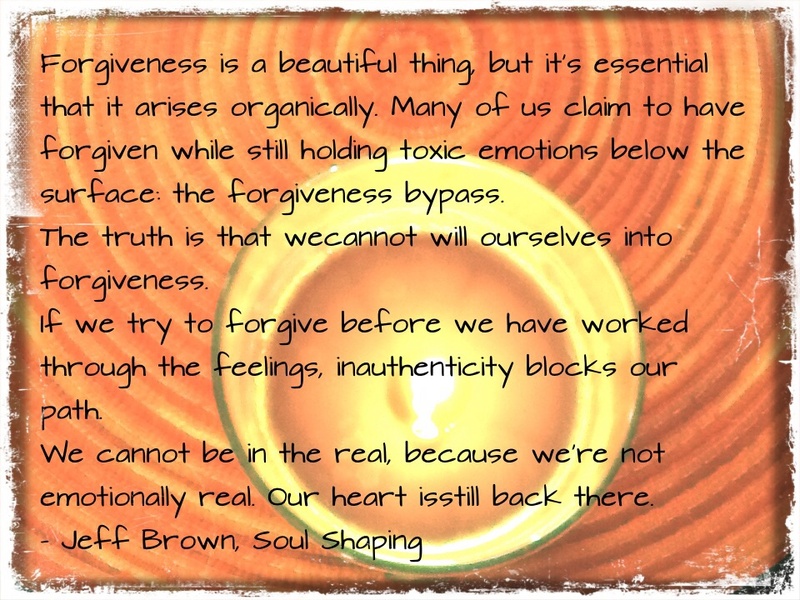 As long as we struggle with attachment to things, emotional responses, memories or make decisions based from an attachment based place we are not exhibiting authentic forgiveness. And that is selfish. Because of the attachment to self or ego if you prefer. Haley: You find compassion for others for being human and flawed, and you forgive them. In return, you can more easily and often do the same for yourself….and in doing so- let go of all those nasty “shoulds”, both for yourself and for others, that drive us all insane. 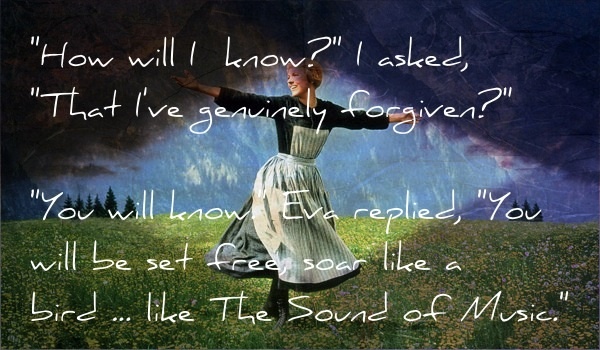 Ann: Forgiveness is a gift. 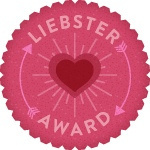 Given for the satisfaction of giving, inspiring, sharing. It is not selfish however it is given in most part for self fulfillment. One cannot be fully sure of how the gift will be received and or appreciated…..that falls to the recipient. If I apologize to you for whatever reason and you spit back at me I still, if genuinely given, have the pleasure of doing what was right for me. If you embrace my apology well then even better. 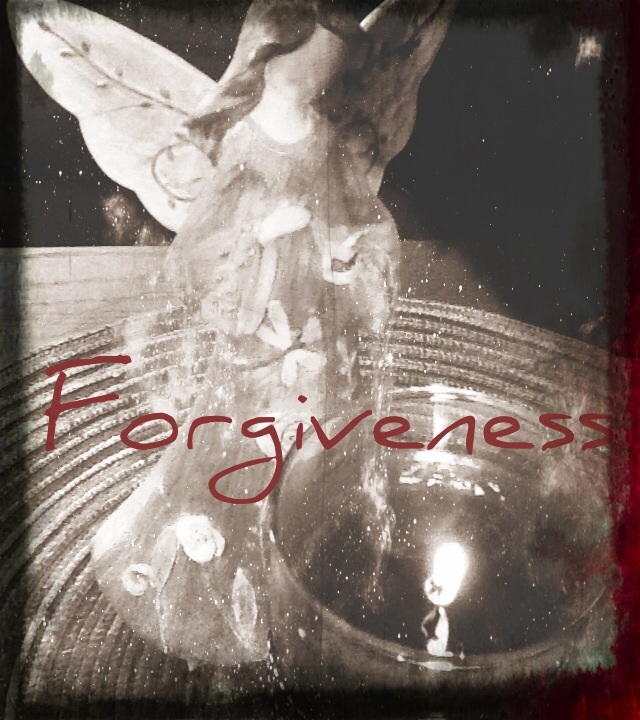 Forgiveness is a gift…..intended for the pleasure of both giver and receiver. If it does not work out it is still a gift. Kinda like the Christmas gift from great Aunt Edna of a box of jello. She knows you love jello and it makes her happy to think of you enjoying that fun delicious treat. Jennifer: God forgives us, so we should forgive others. Alyce: My take on forgiveness, you can be hurt really badly by someone- but a time comes when we no longer wish them ill or mentally wish for retaliation etc. We don’t need to go out of our way to befriend them or spend time with them, but we are free from wishing harm to come to them, we wish them well in their world. I love that everyone spoke from their heart. The fact is, that when we are harmed, damage occurs. That saying: ‘You don’t drink poison and expect your enemy to die’ rings true, we do have to let go and move beyond our pain – we are only hurting ourselves further and stunting our growth if we sit in our pain. It’s certainly not exacting revenge on the perpetrator, in fact, it maintains their power. I then thought of the saying and took it to another level – most people don’t purposely drink the poison. Those with scars stemming from suffering forced upon them are in fact victims – having had something toxic poured into them without consent. What happens after it’s inside you? You can remain a victim, or you can begin to heal. You may not have a way to heal the physical damage or erase the memories of the taste of the posion in your mouth. It may take time until the sensation of the hand that wielded the metaphorical or literal weapon or the smells/sounds/sense memories burned into your subconscious during the offense begin to fade. But out it must come if there is to be any chance! There are labels on poisonous household liquids – ‘if swallowed, do not induce vomiting’. The reason for that is that it can do more harm to come into contact with your fragile insides once more. Debilitating pain from injury and abuse are just as toxic, but MUST be purged. Coming back up is bound to be painful – but necessary. I had the great honor of speaking to someone yesterday who is, for me, the epitome of forgiveness. Mrs. Eva Mozes Kor. I reached out to her for wisdom – this is a woman who is strong, independent, funny, kind and oh so wise. She is a twin survivor of Dr. Mengele’s experiments at Auschwitz. 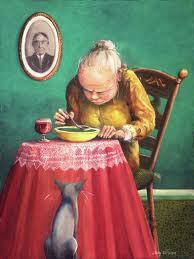 Even at such a tender age, she was determined to live through her ordeal. She was orphaned, suffered unimaginably at the hands of Mengele and teetered between life and death – determined to survive to save herself and her sister. Then years later … she forgave the Nazis. Where does that strength come from??? I wanted to speak with this amazing woman for any advice she might have about life in general. I was to call her at 1:00 O’Clock – all day I glanced at the clock and when it was time, all I could do was stare at the phone. The moment I heard her voice say my name, all nerves washed away. Yes. Yes I wanted to be free. I had no intention of interviewing her – of mentioning our chat here. I only wanted, as a woman, and student of life, to soak up lessons she could pass on to me. But after our long conversation, I was fixated on ‘forgiveness’, knew I must write about the topic and sent her a message asking if I could include some of her words in this piece. Her response was an enthusiastic yes. I share with you what her answer was to my question: So then what is the difference between acceptance and forgiveness? She went on to say that the perpetrators need not even know they have been forgiven. You are taking your power back in the simple act of forgiving. She gave me an assignment, which I will be doing. And now that I have a better understanding, and new definition of forgiveness, I feel I will get it all out and succeed. The last thoughts I have on this topic are these. If you cannot find it in your heart to authentically forgive another – forgive yourself. Forgive yourself for being in fear, for not feeling strong enough to release the pain. When the time is right – it will happen. This is another thing Eva shared with me – it does take time! And to laugh – and to seek answers and to want to learn and grow is a great way to begin to process forgiveness. 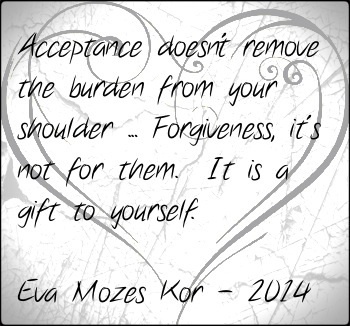 Posted on June 8, 2014, in Gratitude, Uncategorized and tagged choice, eva mozes kor, forgiveness, hope, Love, strength, taking back your power, victim, wisdom. Bookmark the permalink. 5 Comments. Beautiful post Amanda, very inspiring. Pingback: How to Forgive When You Just Don't Want to! » Your Zeal for Life!